Established Souper Salad Restaurant for Sale, South Austin. Souper Salad Lakehills is located at the intersection of Ben White Blvd and South Lamar in South Austin. 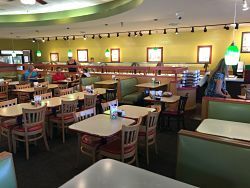 The restaurant is a primarily lunch buffet business and has a very strong customer base. This location has been open since the mid 90’s and has been one of the top stores in the network. Austin has been revitalized over the last few years resulting in a rapid demographical/economical change, making it the ideal location for this business. 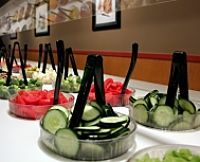 Souper Salad is a buffet concept which includes Salad, Soups, Pasta’s, Fresh Fruits and Vegetables, and much more. This location has been recently remodeled and has seen sales increases of 40% over the last year. There is an excellent and experienced manager in place with a very well trained staff. This location needs an owner operator who can make the right decisions to carry it to the next level. Particularly appealing feature is that there are no late nights! It is the right price, in the right location, at the right time.